Maths and physical system control sequences. 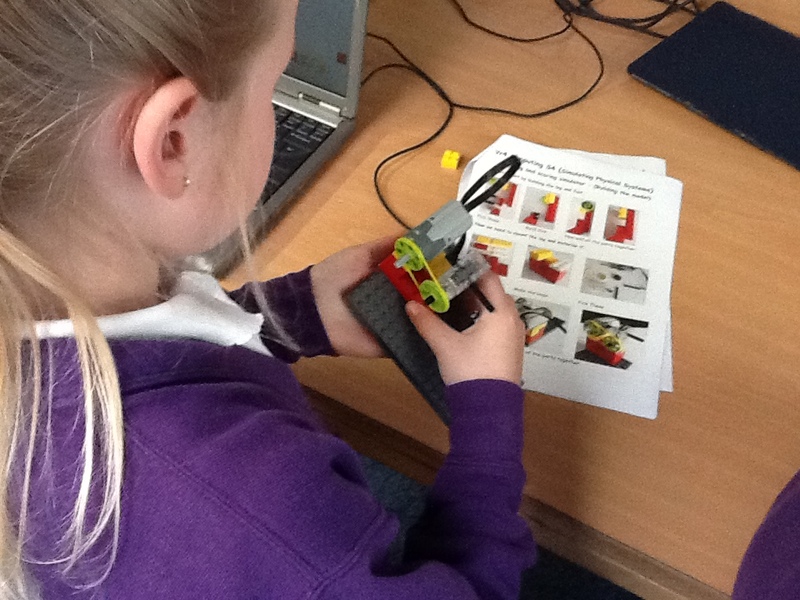 Yr3 and Yr4 are using Lego WeDo construction kits and sequencing software to learn more about the use of computers for control and simulation. 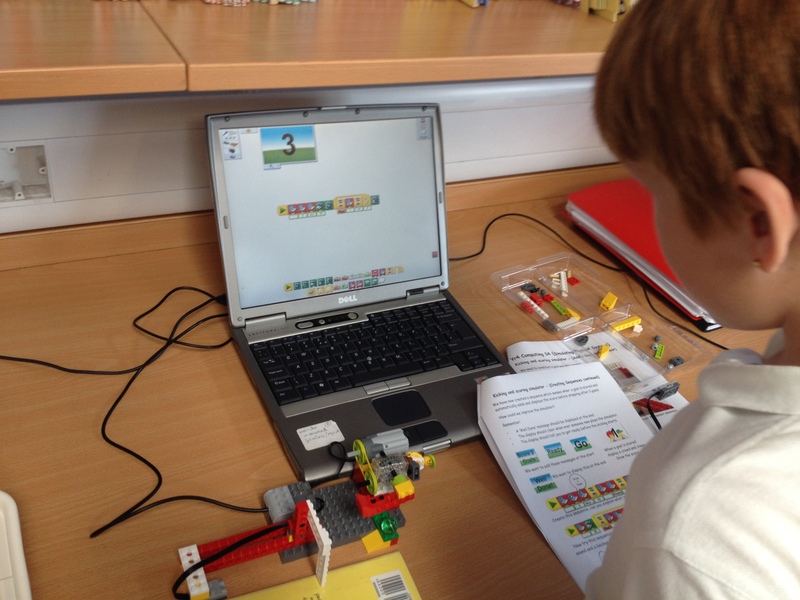 This includes mathematical operations (adding, multiplication, division and countdown), graphical displays and the use of a sensors. A kicking and and sensing simulator is being used as part of the learning experience. The simulator kicks a ball, senses that this has happens and stops the kicking device. Structured programming – Creation of a game to include the movement of sprites, drawing backgrounds, conditional text and collision detection. 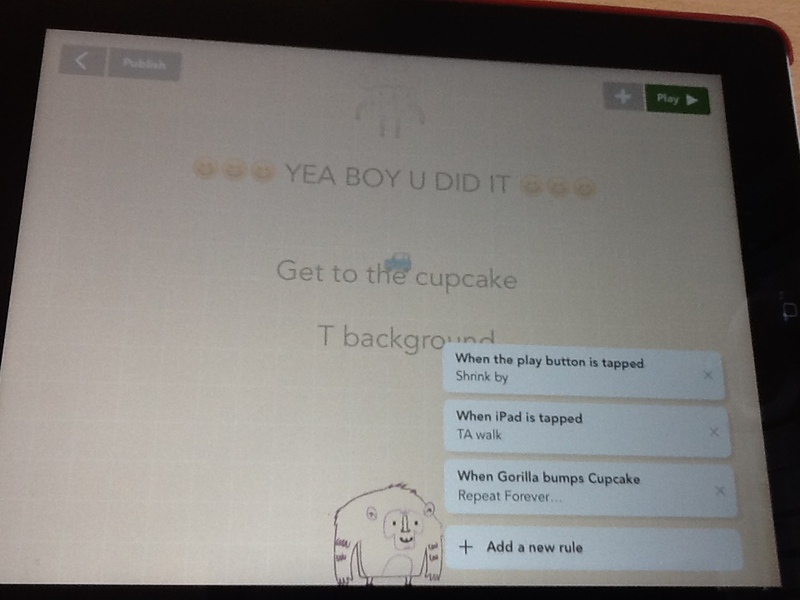 Yr5 have been using Hopscotch to create a game that involves getting a sprite to move across a road to a safe location. 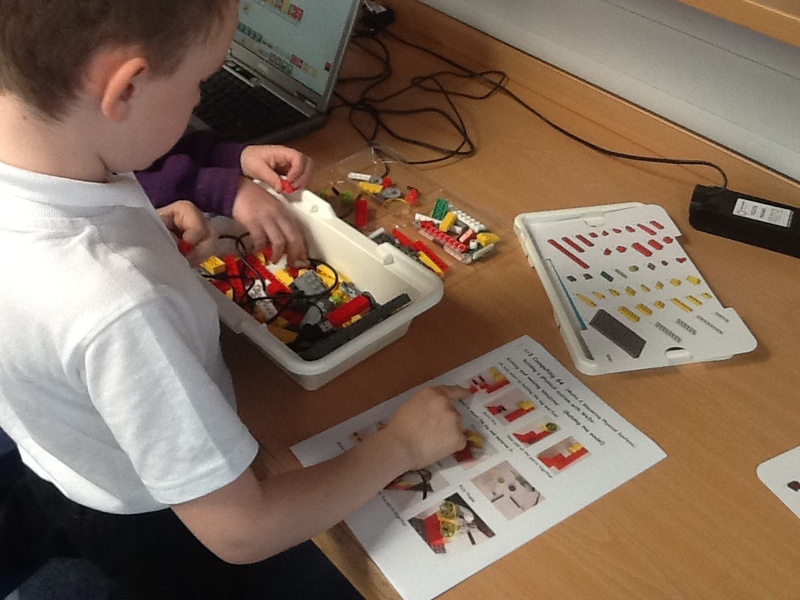 As part of the learning experience pupils have been using structured code which includes abilities (procedures) which can be used repeatedly to animate objects. This entry was posted in Uncategorized on May 31, 2015 by donningtonwood.